Do you think meditation is just closing your eyes and sitting in lotus posture? Are you constantly struggling with your thoughts? Do you want to experience more clarity,focus,peace and joy ? Would you like to experience different meditation techniques so you can choose one for you by yourself? Then this class is for you!! Osho's vision is beyond teaching or preaching. Its a way of life! 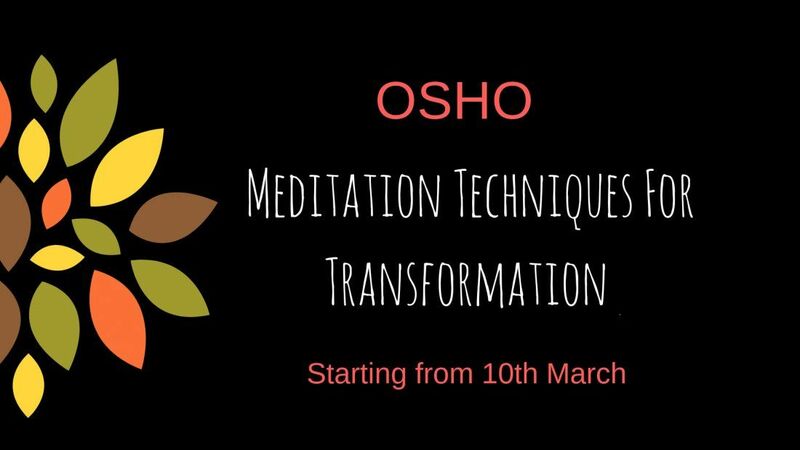 Come, join us to learn meditation techniques for new age man. learn new ways to become more relaxed,happy and peaceful! 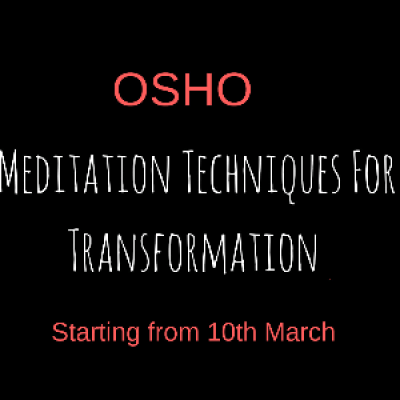 You will learn OSHO active and passive meditation techniques on breath, movements, emotions, heart, chakras, senses....etc. Time:10.00 a.m. to 11.00 a.m.